As we age, it is only natural to experience spotting on our skins. Discoloration of different forms occurs on the skin, from moles, to freckles, pimples and liver spots. Regardless of your skin type, this condition is very likely to affect you if not well guarded against. Over the years, a lot of different products have been manufactured that claim to offer an effective solution to this skin problems,but have failed. Even if these products worked, the presence of harmful and harsh chemical combination is enough to discourage users from its use. However, there’s one product that has made the difference in minimizing these spots and lightening the skin–Aqualis Soap. Aqualis Soap, a product of dreams cosmetics is a luxury bath soap that is enriched with natural properties that specialize in cleansing and exfoliatung dead skin cells from the skin’s surface. This soap is one skincare product that promises to reveal younger and refined skin. It leaves the skin looking renewed, radiant, renewed andglowing. Aqualis soap is manufactured with a healthy mix of all-natural ingredients and herbs that work to give your skin the tone it desires. It leaves your skin feeling silky smooth and refreshed. It comes in a variety of shades for focused on specific issues of the skin. This shade of Aqualis Soap is specially formulated with Shea butterand luffa fibers. It is also a natural source of Iron. Generally, this is the most common and popular shade of the aqualis soap for its amazing cleansing action on the skin. It works against premature wrinkles and facial lines. Its Shea butter content fortifies it to help heal skin problems such as acne and blemishes, and comforts irritated skin. Also, its Luffer content fortifies it to help in softening and exfoliating the skin. This shade of the Aqualis soaps are considered one of the most effective when it comes to its moisturizing effects. This unique quality allows it to be effective for the different kinds of skin, particularly those with highly sensitive types.The benefits of glycerin content in this soap is to also help your skin become healthy. It also helps do away with any form of irritation that may arise as a result of other ingredients. Formulated with ingredients such as Sodium Palmate, Sodium Hydroxide, Sodium Cocoate, Titanium Dioxide, Natural Apricot Abrasive etc, this soap is effective for exfoliating dead cells of the skin off the surface of the skin. This effect leaves your skin feeling refreshed and invigorated, and looking finely smooth to the touch. At the end of the day, you will have your skin thank you. Behind every great product, it is said that thereare great ingredients it contains. The uniqueness of the Aqualis soap sterns from the fact that it is composed of natural and potent ingredients. Aqualis soap is well formulated withingredients aimedat helping it eliminate the underlying skin issues and restoring its health. This is one of the most famous ingredients in organic skincare products. As much as they possess a lot of health benefits, so also do they beatify the skin.People who use this singular ingredient have always been observed to have a glowing skin.When this oil comes in contact with the skin, it is immediately absorbed into it. As this happens, it begins to performs its magic of moisturizing, and cleansing the skin. This same ingredient also features antibacterial and anti-inflammatory properties that helps reduce breakouts of acnes and related conditions of the skin. Here is another substance that surprisingly has a lot to offer to the health of the skin. The palm oil contains powerful antioxidant properties that help to get rid of free radicals that that encourage the skin to age prematurely. Owing to its vitamin properties, particularly vitamin E, palm oil helps to reduce the effect of UV damage on the skin, such as wrinkles and fine lines. The skincare benefits of this substance wouldn’t be complete without mention of its high moisturizing properties which goes a long way in helping the skin stay and feel supple and soft and supple. This is indeed a blessing to those with dry skin. Not to forget its role in boosting the skin’s natural oil developmeent, and treating all kinds of conditions having to do with skin, like stretch marks, scarring, acne and so on. Shea butter s commonly known for its nourishing properties on the skin. It generally keeps the skin healthy. This substance particularly helps the skin to deal with UV penetration and thus improving the skin’s vitality. It goes as far as helping to improve conditions such as skin allergies, ezema, blemishes, dermatitis and the rest of them. It also protects and rejuvenates dry, rough and chapped skin. The properties features in this substances play a lot of amazing skin health functions – some that beats the imagination. This ingredient contains properties that help in circulation of blood in the skin. This singular action helps to avoid the stay of chemicals, toxin and other harmful substances around the skin.When regularly applied to the body, this substance is guaranteed to leave your skin smooth, clean and firm.This subtropical fruit contains antioxidant properties that equip it to replenish dead skin cells. It also slows down aging and helps get rid of wrinkles. This way, your skin stays ever young and fresh. The vitamin C is generally associated with facilitating protein production to aid the formation of blood vessels, tendons, and ligament, and thus fastening the skin’s healing process. Vitamin A is responsible for repair and maintenance of the skin, this way,it keeps it refreshed and slows down ageing. Vitamin E helps plays a role in keeping the skin protected from any consequence to undue exposure to sunlight. The aqualis soap contains antioxidants and these antioxidants help in protecting the skin from damage caused by free radical,which in turn causes premature aging of the skin, facial lines, and wrinkles. 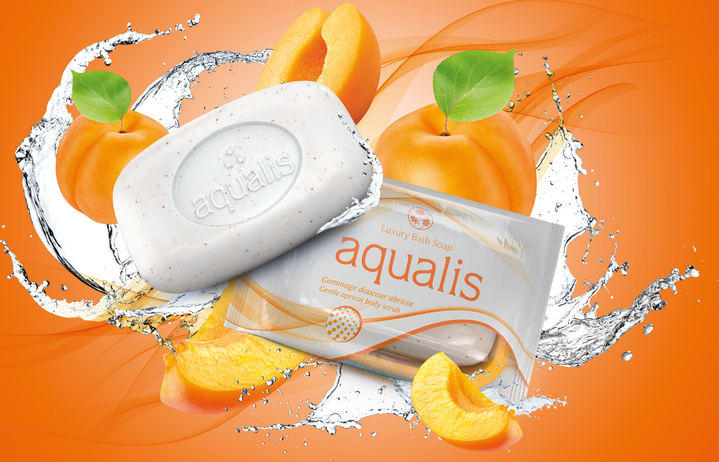 Aqualis soap helps to tone skin and improve its texture, thereby making for more glowing and supple skin. Aqualis soap helps in evening out and fading of discoloration and brown spots. Aqualis soap helps minimize inflammation and skin irritations. It soothes dry and irritated skin, relieves rashes, dry patches, and red areas. The aqualis soap eases the symptoms of conditions such as acne. The ingredient featured in this soap work together to help treat, clear and lessen effects of acne, gets rid of eczema, psoriasis, blackheads and variety us conditions. Aqualis soap features antibacterial and anti-fungal properties and is great for cleansing deep into the pore. As a result of the butter and oils it contains, it helps remove makeup effectively. It can be used by men for shaving because of its high content of shea butter, which helps to protect the skin. The aqualis soap is one product that is effective for all types of skin. No matter your skin type, it will help do away with any skin rashes, irritated scalps, cleanse hair and leave it soft and shiny. 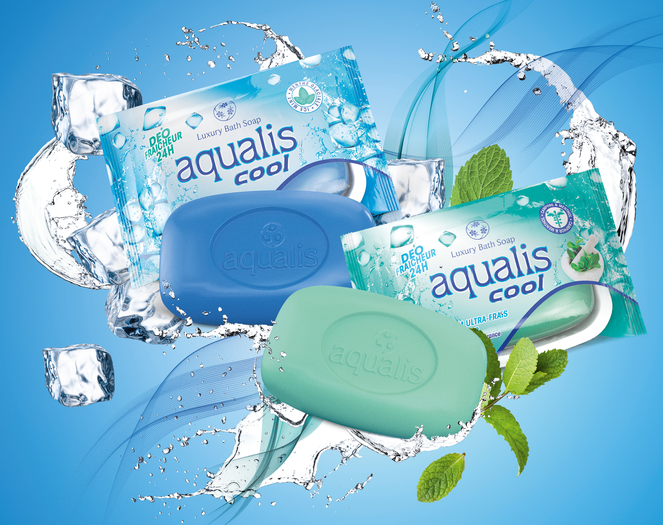 The aqualis soap has over the years become popular for conditioning of the skin and treatment of skin related problem. So far, the registered reviews about the product shows that it is a very effective product for treating skin problems of all types. Most users of this product have testified to how they got cleared of their skin problems beyond their imagination. However, some users also reported unsatisfactory results from usage of this product. Ultimately, the performance of this product has been very impressive. Over the years, one soap that has been revered, particularly in western Africa, for its skin soothening benefits is the Aqualis soap. It comes with antioxidant, exfoliating and moisturizing properties that helps transform the condition of any skin, giving you the perfect skin tone you have always desired. Aqualis soap is a traditionally derived soap, it is made using techniques and recipes passed down through generations, and centuries old. It features ingredients from herbs and natural plants from the Savannah and tropical rain forest regions. You can never get it wrong with this product. It leaves your skin soothing, feeling refreshed, and glowing.